Computer video cards (graphics cards/graphics adapters) are expansion cards and their function is to output images on a computer diplay or monitor. Very high performing graphics cards are used in gaming computers where there is extremly high graphics demand. Older computers came with integrated or onboard graphics controllers. Today, chipset makers nVidia and Intel provide graphics controllers for some mid-range motherboards. The onboard graphics contain a minimal amount of memory and has to use some of the main PC memory which causes a reduction in overall RAM. Integrated graphics offered subpar performance and never delivered especially for any one wanting to run 3D applications. Anyone wanting to run 3D applications had to opt for discrete or dedicated video cards that had its own RAM and processor - Graphics Processing Unit (GPU). This discrete video card enhances PC performance because it offloads work from the main CPU and system RAM. AORUS provides the all-around cooling solution for all key components of the graphics card. It takes care not only GPU but also VRAM and MOSFET, to ensure a stable overclock operation and longer life. On the front side, the GPU direct touch heat-pipes combines a metal base plate to dissipate the most heat from the GPU and VRAM. On the back side, the copper back plate dissipates the heat from the GPU back side. All other key components are taken care of very well by the WINDFORCE cooling module. AORUS ensures the customer a better cooling solution in many ways. The video card not only delivers high performance but also is built with a strong focus on quality and beauty – with premium components and eye-catching RGB fusion. Click here to view GIGABYTE AORUS Radeon RX 580 DirectX 12 GV-RX580AORUS-8GD 8GB 256-Bit GDDR5 PCI Express 3.0 x16 CrossFireX Support ATX Video Card. A great majority of motherboards with onboard graphics provided disabling of the onboard graphics in the BIOS and were fitted with a PCI Express slot for installing higher performing discrete video (graphics) cards. Without a computer video (graphics) card, you would not be able to see anything on your monitor screen! PCI slot type: - This card is installed in the PCI slot on the motherboard and has become obsolete due to its substandard performance for today's computing needs. AGP slot type: - This card was an upgrade to the PCI slot type and is installed in the AGP slot on the motherboard. This AGP card is also on its way out giving way to PCI-Express. PCI-Express 16X: - This card is an advancement in the video card technology. It is much faster than AGP 8X. It is referred to as PCI-E 16X and can only be used with motherboards having PCI-Express slots. Today's computer video cards (graphic cards) have their own CPU, memory and bus. Your computer's main processor (CPU) controls operations but the video card's graphics processor also performs plenty of the work. Graphics cards (video cards) are built with one or both of two different types of CPUs. One type is referred to as a graphics processor unit (GPU) which works along with the PC's main processor. These two processors together perform all the rendering and memory management. The GPU is an independent processor that rapidly performs all the different calculations required for rendering high quality 3D video images. It doesn't need to be controlled by your PC's CPU. It automatically processes all video on its own and sends the result to the video memory and the display (monitor). The other type of graphics card processor is called a graphics accelerator and it waits for your computer's processor to instruct it to perform specific operations. Your PC's processor isn't required to perform the operation itself but it has to supervise and give instructions to the graphics accelerator. The performance of video cards are controlled by the chipset, memory and the RAM DAC as well as the bus speed and size. One way of improving this performance is to allow both the video chipset and RAM DAC to access video memory simultaneously. This process is called dual-porting and requires special video RAM. Another way to increase performance, is by giving video cards their own processor (GPU). 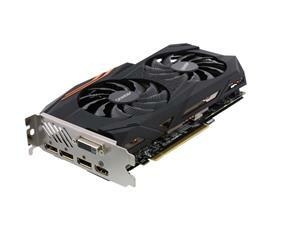 This type of graphics card has its own processor to boost performance. Due to the demands of today's graphics applications and high multimedia requirements, graphics processor units (GPUs) are not just enhancements; they are a necessity. The processor on these cards are designed specifically for handling video and graphics. Digital output to flat panel monitors. These are design features to reduce the load on the system CPU which allows for faster system CPU performance. If the computer motherboard has a built-in (integrated) graphics card, you should ensure that it also has a PCI-Express slot so as to allow you to be able to upgrade your graphics card if you so desire. Original computer video cards never had memory but, because of the large volume of data caused by increased resolution and color, video memory became necessary. Older computer video cards used up to 128MB of DDR memory while the newer cards use between 256MB to 512MB of DDR memory. High end cards now use from 1024MB to 2048MB DDR RAM. If you intend to go 'all out', you can opt for the PCI-Express (X16) video cards. The higher the memory of your video card, the better the performance of your computer resulting in better video quality. If the video cards are of poor quality, then the image quality shown on the monitor will also be of poor quality. Video cards are extremely important for gamers. If you will be using your computer for intensive graphics such as gaming, video editing and watching DVD movies, you should get a good card such as a PCI-Express (X16) with at least 4GB DDR5 of onboard RAM. Nvidia introduced the Scaler Link Interface (SLI) for its video cards. This technology incorporated the use of dual, identical PCI-E X16 video cards used in tandem; the downside being you had to have a motherboard with dual PCI-Express X16 slots. ATI technologies Inc. also produced its version of dual PCI-Express cards used in tandem which it referred to as Crossfire. These two technologies, SLI and Crossfire, produce stunning realistic 3D graphics. The choice of your computer video cards will be dependent on your computing needs. Click here to learn to install a video card. Click here to look at some computer video cards.